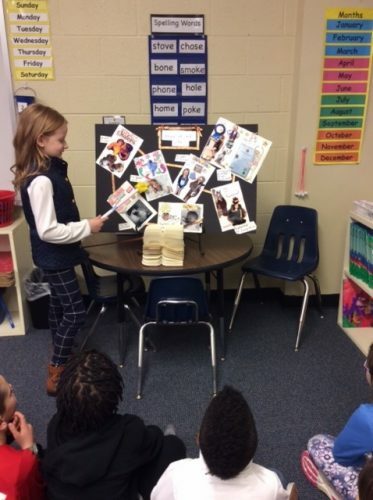 First grade students presented timelines with 7 important events that have happened to them from birth to now. 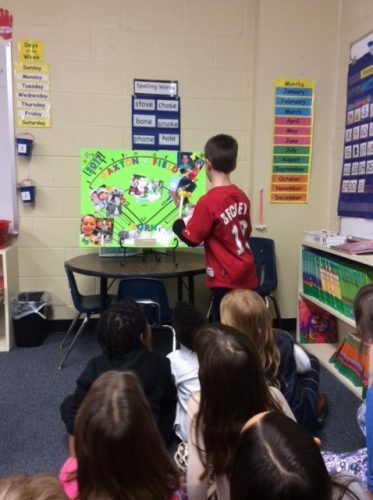 The students came in with a variety of creative ideas and enjoyed sharing with their classmates. 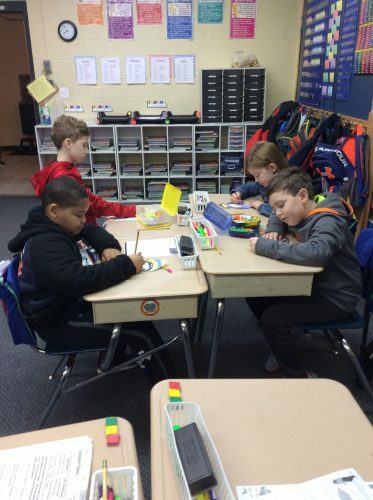 3rd Grade had a busy week! 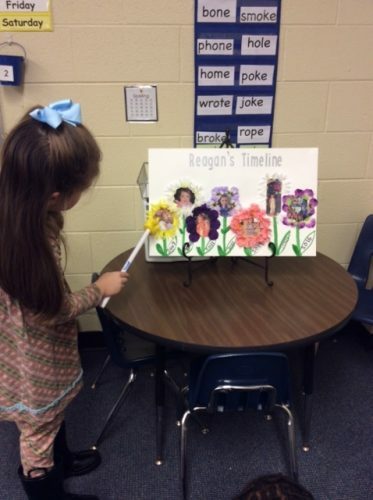 Students participated in a variety of activities throughout various subjects. 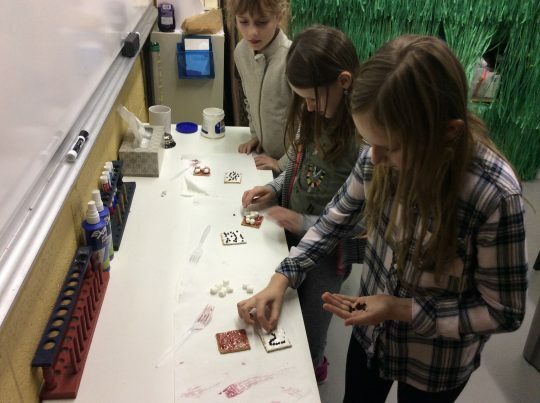 Our in class science lesson had students working with minerals and rocks. 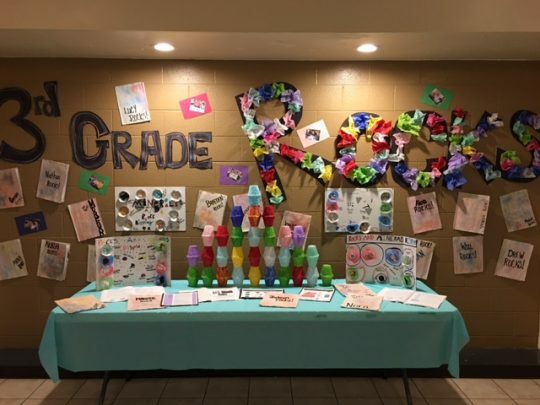 Students learned all about Minerals & Rocks in a variety of ways through research, vocabulary study, creation of their birthstone and a Group Minerals & Rocks candy display! 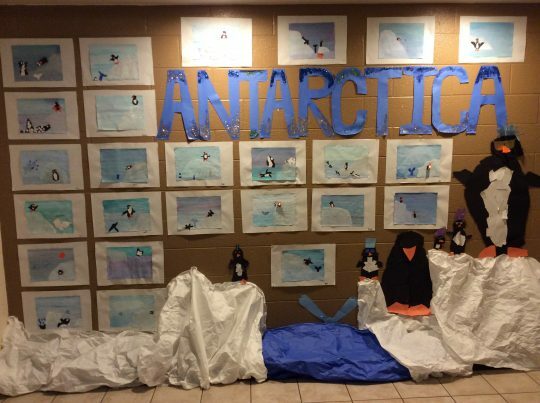 The third grade classes have been studying the continent of Antarctica. Here is some art work of the wildlife found in Antarctica. 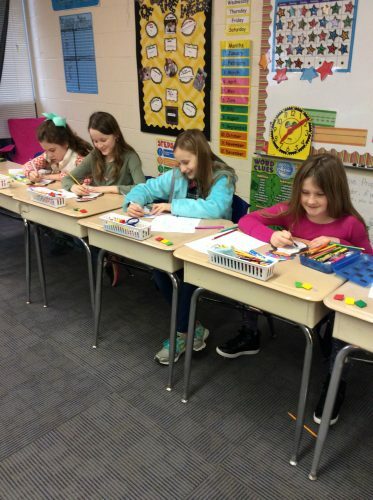 Students are working on the Distributive Property of Multiplication in Math Lab. 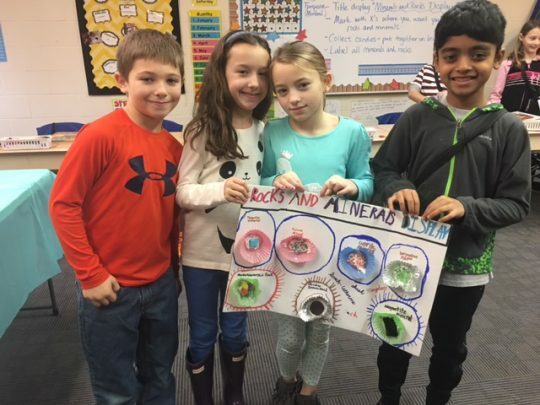 Third graders study sedimentary rocks and identify the components: sand, silt/mud, pebbles and stones. 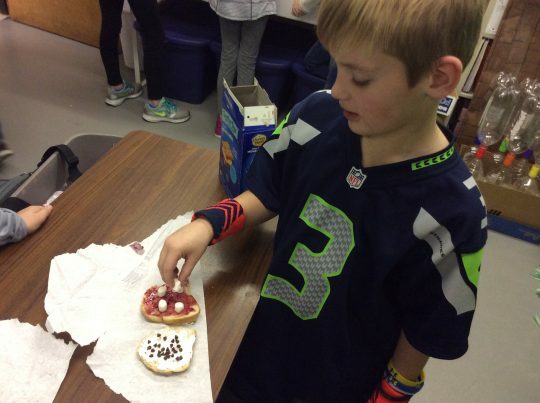 We created sedimentary sandwiches using marshmallow cream for silt, jelly for sand, mini chocolate chips for pebbles, and mini marshmallows for small stones. We had samples of sedimentary rocks to view and reviewed igneous and metamorphic rocks as well. 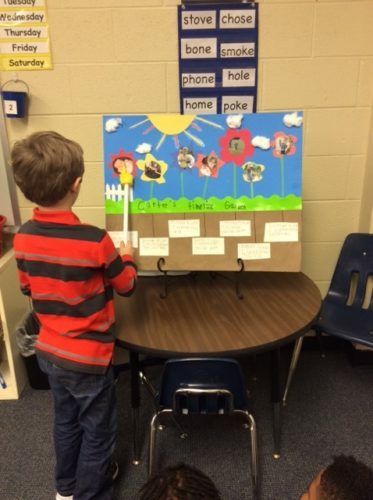 Kindergarten students are really learning their sentence mechanics. We have focused on beginning sentences with capital letters and ending sentences with punctuation. Using our descriptive words and inventive spelling the students described their own snowman or snowlady. 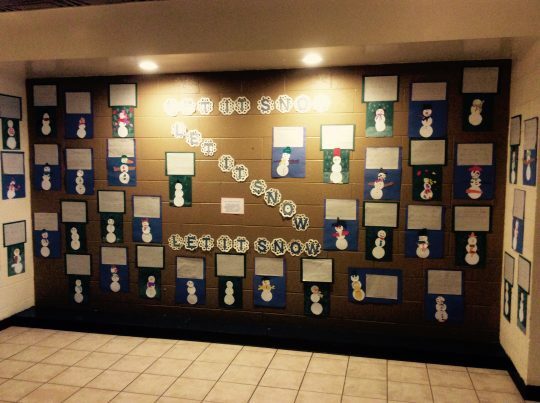 Come see our display in the lower school hallway. 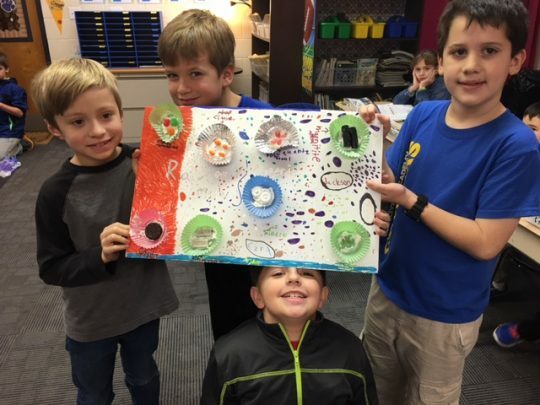 The students are super proud of their work.